Today, we look at Part Two of Stephanie Hubach’s guest blog. Steph has recently released a DVD series based upon her widely read book, Same Lake, Different Boat: Coming Alongside People Touched by Disability. Click here for Steph’s biography, along with Part One of the series. In this segment, she discusses what churches look like when doing disability ministry well, the benefits to the church from disability ministry, and her perspective on such ministry as a “justice” issue. 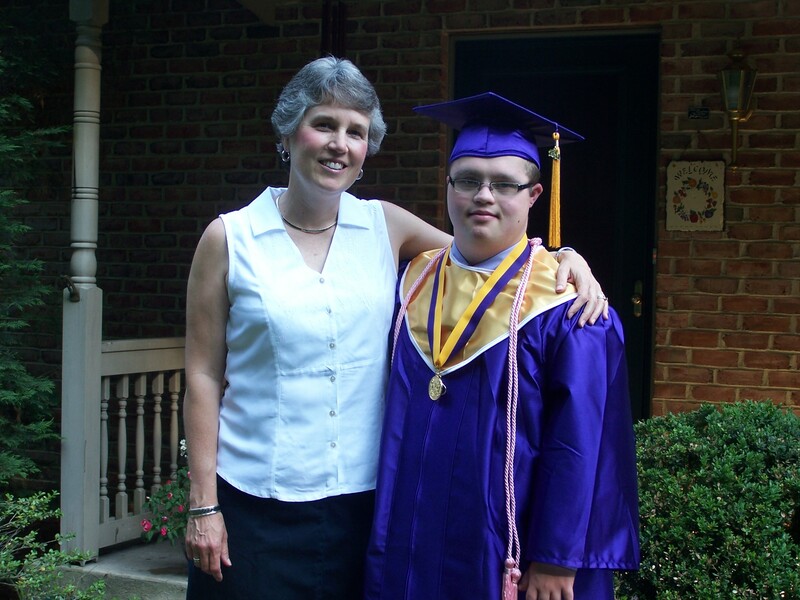 C4EC: What does a church look like that “gets it” in serving families touched by disabilities? These churches will also understand that disability affects not only the person who has the special need, but also the entire nuclear family unit and the covenant community in the local congregation. All will need to enter into the challenges. All will benefit from the blessings. Disability is not an exclusively negative experience. Life isn’t just about difficulty and neither is life with a disability. Disability is just like the rest of the “stuff” of life—it reminds me of our wedding vows: “joy and sorrow, plenty and want, sickness and health.” Let me just mention herethat I tried to write the book in a way that mirrors life this way. So, in addition to sound theology, and thought-provoking challenges, I wove humorous illustrations about my sons Freddy and Timmy into many chapters to make it enjoyable to read too—not just weighty. C4EC: What benefits do churches obtain from welcoming and including persons with disabilities? SH: The blessings are as diverse as the people themselves. The problem is that we often tend to view people with disabilities exclusively through the lens of their disability or their limitations, and yet, this is only one aspect of who they are as a complete person. All people with disabilities have abilities too. And all Christians, including Christians with disabilities, have spiritual gifts “given for the common good (I Corinthians 12:7).” This may sound simplistic and obvious, but sadly, we tend to miss this, in part because we wrongly focus on the disability, and in part because we fail to realize that sometimes the packaging of the giftedness is simply different. We tend to either miss it, or worse—dismiss it—particularly for people with intellectual disabilities. Those with intellectual disabilities have much to teach us about faith, but usually we are not even listening. In a similar way, people with sensory disabilities or physical disabilities are sometimes overlooked for church leadership positions that they are qualified for—just because they use a wheelchair or an assistive device. C4EC: Why do you see disability ministry as a social justice issue? SH: We know that justice matters to God. The subject comes up more than 200 times in Scripture. Justice is the appropriate use of power to do what is morally right and fair. We read in Leviticus 19:15, “Do not pervert justice; do not show partiality to the poor or favoritism to the great but judge your neighbor fairly.” In this passage the “poor” include the disadvantaged in society. And the “great” are those with economic or social advantage. It’s important for us to note that Scripture doesn’t promote compensation of the “poor” at the expense of the “great.” It calls for the restoration of a level playing field. The goal isn’t to show partiality to anyone, but fairness to all. 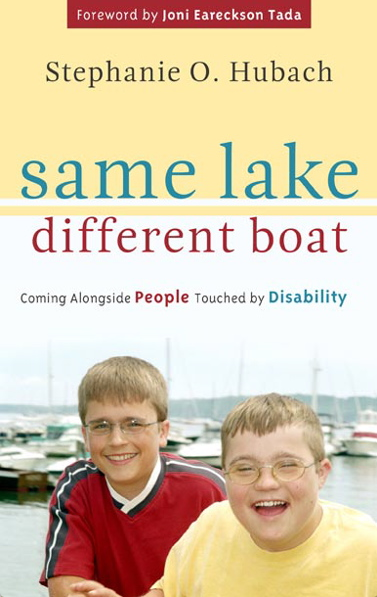 Steph’s newly released DVD series, Same Lake, Different Boat: Coming Alongside People Touched by Disability can be ordered here for the discounted price of $35.00. Her book that shares the same title as her DVD series is also available here at a discounted price of $7.50. This entry was posted in Key Ministry, Resources, Strategies and tagged Disability Ministry, Key Ministry, Same Lake Different Boat DVD, Social Justice, Stephanie Hubach. Bookmark the permalink.